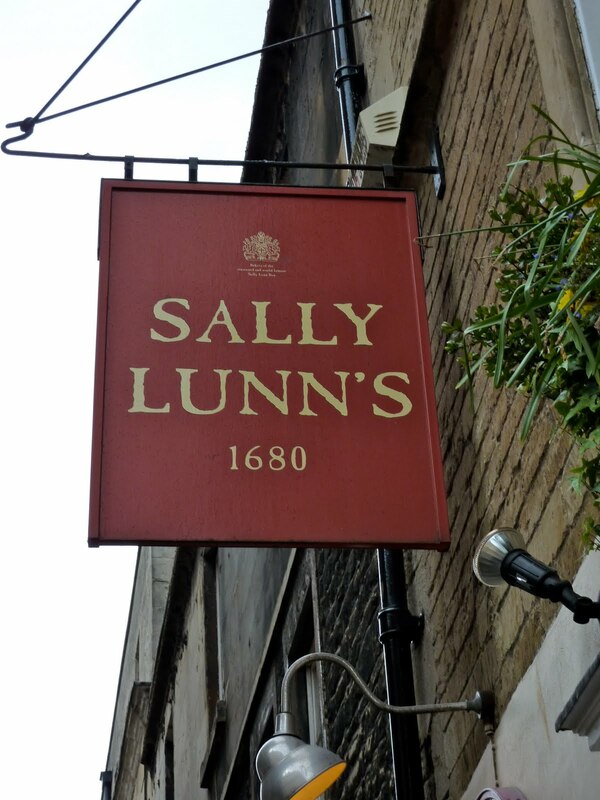 Now for the gay Sally Lunn! My daughter and I were only at Sally Lunn's for a short time but it has had a lasting impression on us both. Where do you start when Sally Lunn's has been referred to by W S Gilbert, visited by Jane Austen and now the High Tea Inspectors? We were extremely lucky to get a table as the place was packed. We followed the waitress to the third floor in what seemed like an endless maze of rooms and staircases. After ordering the Sally Lunn bun and house tea we enjoyed the memorabilia displayed on the walls. Not knowing what to expect, the famous bun was delightful. A dessert plate size delicious bun served with raspberry jam and clotted cream and eaten with a knife and fork. For such a extremely busy establishment the service was prompt and pleasant. A most memorable time in wonderful Bath. I am delighted that you have read my blog and corrected the quote I credited to Shakespeare. Originally I was looking for a William Shakespeare quote referring to tea and found this on thinkexist.com. That will teach me to google with caution! I do thank you for your comments, best wishes, M.O.T.P.